The National Testing Agency (NTA) has issued the NCHMCT JEE Admit Card. NCHMCET call letter is available at ntanchm.nic.in. Candidates who have applied for this advertisement can download it from the link below. Application number and password are required to download NCHM JEE 2019 admit card. Admit cards include registration details, important instructions, examination details such as date, time and examination center address. The print copy of the NCHMCT JEE Admit Card 2019 is to be taken on the day of examination i.e., 27th April, 2019. Candidates can check out the full information about NCHMCT JEE 2019 Admit Card from this page. NTA GPAT Admit Card 2019 is available on the official website to download. Candidates need to sign in their registered id to download the call letter. The examination will conduct on 28th January 2019. Candidates should download it before some days of the examination so that if they find any error in this admit card, can contact the officials. Admit card is an entrance key to enter the exam hall. Hall Ticket contains some important information regarding candidate and exam-like applicant’s name, their parent’s name, examination venue address, exam date, and time etc. You can download this hall ticket from this page also. We have presented the direct link to download NTA Graduate Pharmacy Aptitude Test Call Letter 2019. Short Info: The National Test Agency has already released an official notification for NTA Recruitment 2018. The great number of candidates has applied for the same. Applications have 1st September 2018 to 30th September 2018. Those candidates who have applied want to know about their admit card and examination. There is the latest news for them. The NTA JEE Mains-I Paper I exam will be conducted from 6th January 2019 to 20th January 2019 and Paper-II will be conducted on 8th January 2019. The JEE Mains-II will be held in April 2019. The agency has released the NTA JEE Mains-I Admit Card 2018. The applied candidates will be able now to download their admit card from the official website of JEE Mains. Candidates will be able to download from this page also. NTA Admit Card 2018 is a very important document for every applied candidate. Because without hall ticket, candidates will not be authorized to enter the exam hall. 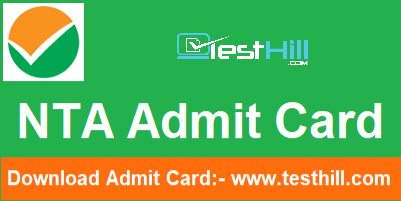 An admit card is a key to perform in the exam. So, candidates should download it from the official website. Every candidate, who is going to appear in the written examination, they have to carry the NTA JEE Mains Admit Card 2018. Hall Ticket holds some important information regarding candidate and exam-like candidates name, candidates parents name, examination venue address, exam date and time etc. The NTA JEE Mains examination will conduct from 6th January to 20th January 2019 and Paper-II will be conducted on 8th January 2019. Candidates should download NTA JEE Mains Hall Ticket before the exam so that if there will any problem, they can consult with the Agency.